Product #1236 | SKU EF200F2LISIIUSM | 0.0 (no ratings yet) Thanks for your rating! 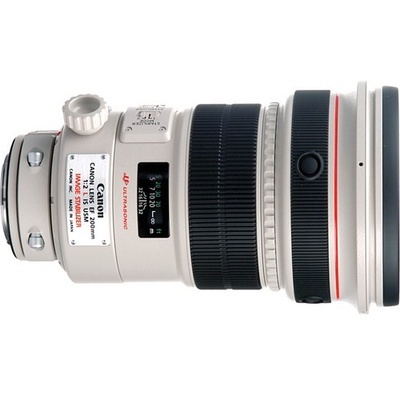 A lightweight, ultra-fast, telephoto lens with maximum aperture of f2. The Canon EF 200mm f/2L IS USM Lens sets new standards in performance and versatility with its larger aperture, lighter weight, better balance, and particularly its Image Stabilization technology. This lens has totally new optics to provide better image quality. It uses fluorite and UD lens elements for excellent chromatic aberration correction and consists of 17 elements in 12 groups. As a result, this improved version offers an ultra-fast maximum aperture of f/2, lighter weight, and shorter length than its predecessor.